Mr. Mastin specializes in the areas of business and taxation, assisting businesses and individuals with all their tax and corporate needs. From selecting and forming the correct organizational structure, drafting corporate documents, negotiating and drafting Buy-Sell Agreements, Asset Purchase Agreements, Non-Competition Agreements, business planning, and rendering legal opinions in support of business transactions, Mr. Mastin combines the knowledge of both the business and tax disciplines. Mr. Mastin also regularly represents taxpayers before the Internal Revenue Service (IRS) and state administrative agencies. 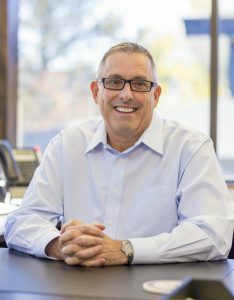 Mr. Mastin is known as one of the top Colorado attorneys representing dentists and dental specialists based on his extensive experience representing these professionals in the formation, acquisition, sale, and dissolution of dental practices and dental practice groups. He regularly speaks before dental groups, providing continuing education courses on practice transactions. He recently spoke at the American Dental Association National Convention. Mr. Mastin and his talented staff of CPAs regularly assist clients with the preparation and filing of business and individual tax returns, structuring tax advantaged transactions, filing for ruling requests, and representing clients before the IRS. He and his staff prepare more than 200 dental practice returns each year. He also provides businesses of all sizes with innovative tax advice. Metrocorp, Inc. v. Commissioner, 116 T.C. 18 (2001) (successful taxpayer resolution regarding insurance payments relating to an asset acquisition). Underwater Stock Options: Considerations Whether to Bail Out – or Not , The Colorado Lawyer, Vol. 30, No. 12 (December, 2001) (with Nathaniel T. Trelease).